things that shine: gr. 5: hexies gone wild! gr. 5: hexies gone wild! This is another page I made for the April blog challenge hosted by My Mind's Eye. 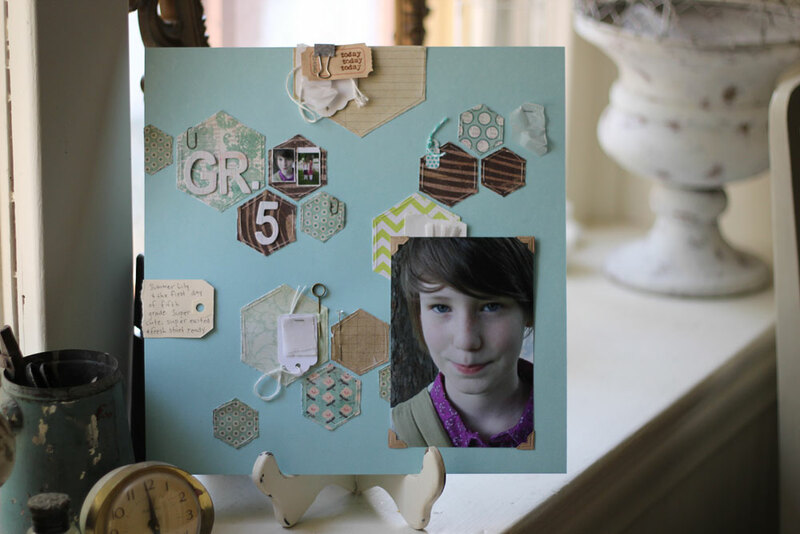 Once I started one hexagon page, I kept thinking of new ways to try to use hexagons, so had to try another layout. Love when one new idea leads to so many other new ones! 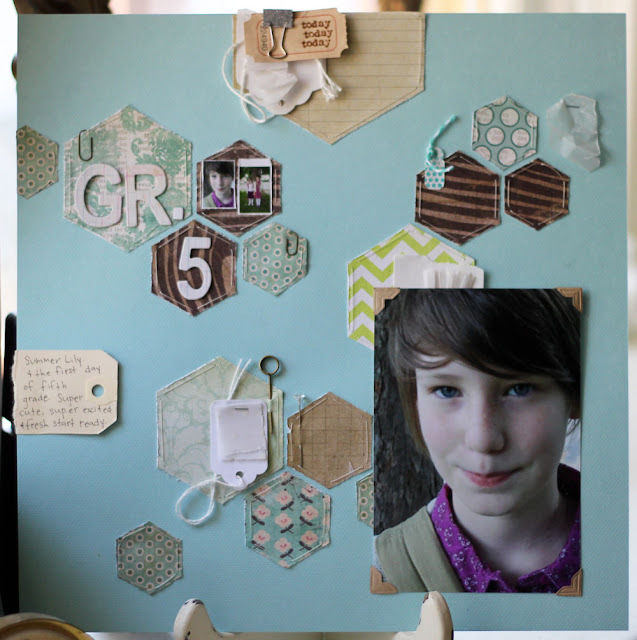 This time I used hexagons in a variety of sizes all jumbled together on the page. Once again, I combined MME paper collections to create this page, I love pairing together sweet vintage florals with bold chevrons and the mod-inspired woodgrain! 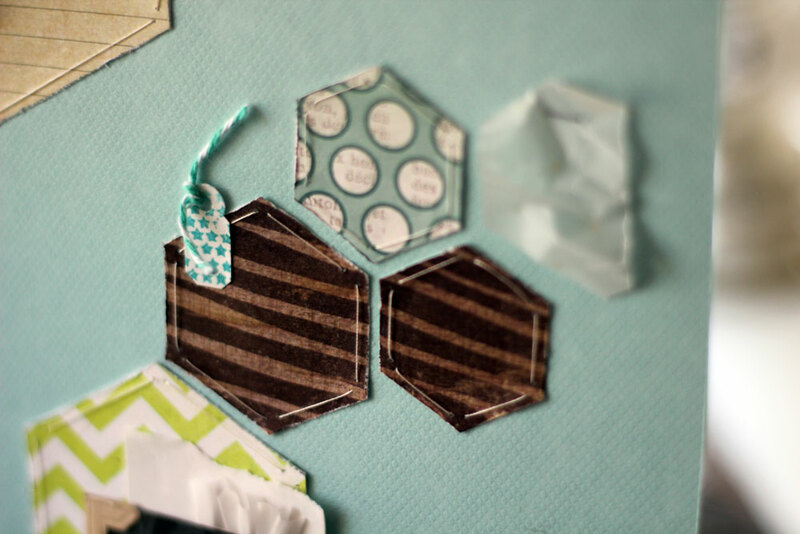 I stitched around the edges of all the hexagons on the page. Here I used a star stamp from the Follow Your Heart set to stamp aqua stars on the tiny jewellery tag. I left this tag blank and just stapled a piece of velum to it. 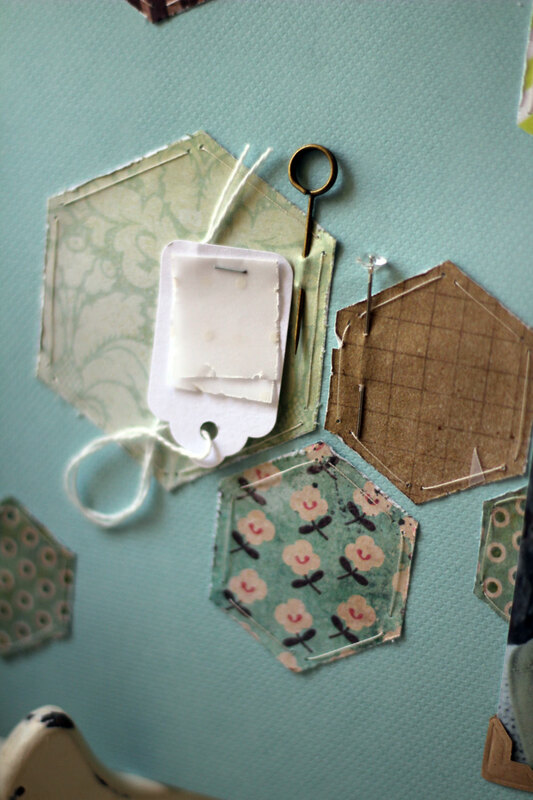 I loved using the stitched hexies to anchor other embellishments on the page, like tags and pins. I used an extra large ledger hexie at the top of the page and clipped pags, crumpled vellum, and a stamped ticket to the top of the layout with a glittery binder clip. 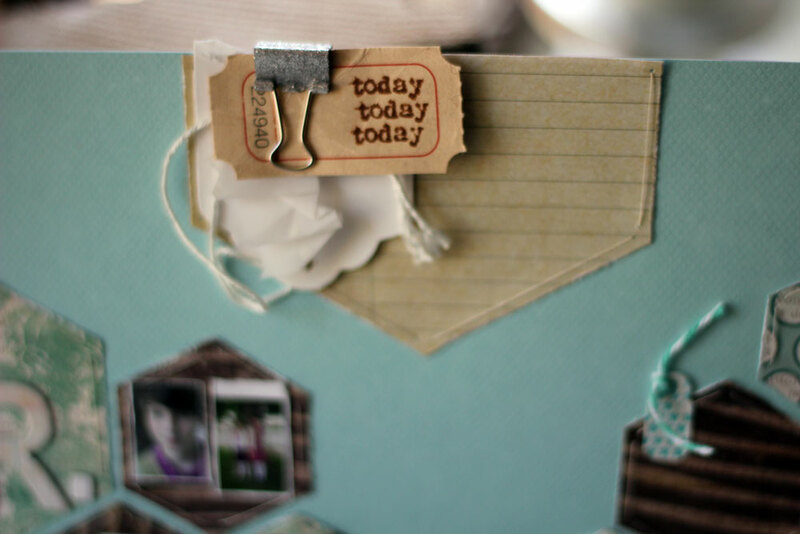 The "today" stamp is also from the Follow Your Heart stamp set. Supplies: Cardstock (Bazzil); patterned paper (My Mind's Eye); stamps (My Mind's Eye); chipboard letters (the Girls Paperie); tags (Avery, the Paper Studio, the Paper Company); vellum (the Paper Studio); pins (Making Memories, Tim Holtz); photo corners (Canson); tiny attachers (Tim Holtz); paper clips (Tim Holtz); binder clips (Making Memories); stamping ink (Tim Holtz); pen (Sakura). wow, am going to have to come back later for another look as i'm overwhelmed with inspiration and need to go scrap!! !